Using Uber Pool can be annoying if you’re in a hurry to get somewhere and have to wait until all the other passengers are dropped off first—but even more so if you didn’t even mean to choose that option. 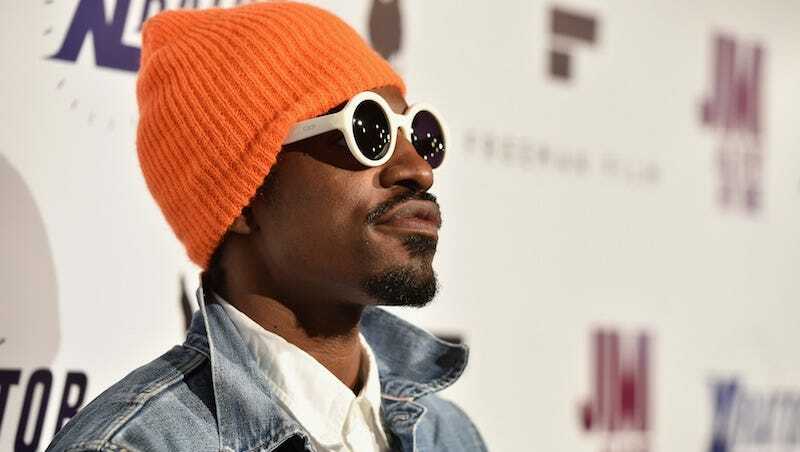 When Andre 3000 accidentally ordered Uber Pool, he wasn’t annoyed. Instead, he invited his fellow passenger to attend a Kanye West studio session. TMZ reports that after the rapper arrived in Los Angeles to do some final recording for West’s album, Waves, he ordered an Uber, not realizing he chose the Pool option. First of all, Andre 3000 is chill enough to use Uber. Secondly, he is so cool (ice cold) he chatted with the woman who was his carpool buddy, finding out they had both lived in the same place in the past. They must have gotten along pretty well because he invited her along to the recording studio where she met West, Diddy, French Montana, Kid Cudi and 2 Chainz. Guess that was the one time it was worth it to use Uber Pool.